Picture a mouse on the back of a falcon soaring over a castle. Imagine that mouse jousting or storming through the corridors of Camelot with a cat and dozens of knights chasing him. Glimpse into Merlin’s cottage as the mouse rummages through the wizard’s spell books to learn a magic potion. If it weren’t for that mouse, Arthur would never have pulled the sword from the stone and become king. Otter and Arthur and the Sword in the Stone follows a mouse nicknamed Otter who befriends the young Arthur and helps him become literature’s most celebrated king. 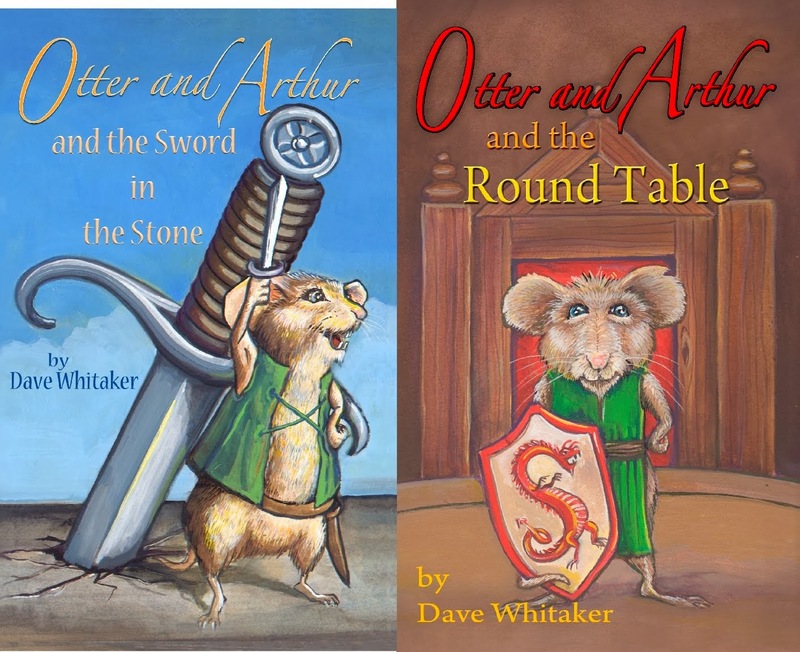 Dave Whitaker’s story is aimed at elementary school-age readers, combining classics like Beverly Cleary’s The Mouse and the Motorcycle with the legend of King Arthur. Dave Whitaker has written more than a dozen books (learn more at WritbyWhit.com). Under the banner of Toolbox Training, he has turned out resources targeted toward child care programs. He has also tapped into his passion for music to write books in connection with Dave's Music Database. In support of his books, Whitaker has done appearances on television (see it here), radio (hear it here), and at the Kansas City Renaissance Festival, book stores, schools, libraries, and book fairs. He is also a 2012 National Novel Writing Month (NaNoWriMo) winner. Check out the contact info page to set up an event.